There’s no other commencement ceremony quite like a kindergarten graduation. Whether in the school gymnasium, outside on the playground or in the kindergarten classroom itself, watching a student gleefully shuffling across the stage in their cap and gown to eagerly grab their diploma is a sight worthy of happy smiles and proud tears. This celebration of education and growth isn’t just an event; it’s the marking of great change. The children aren’t just entering into the first grade; they’re embarking on the path towards growing up. Kindergarten is an important transitional year for children. Unlike the informal playtime of daycare, this may be most young ones’ first time in a structured school setting. There’s an expectation that they’ll behave not as little kids, but as students. Social skills are taught as they interact with their classmates and they learn to have discipline for their studies. This is very different from preschool; they’re “big kids” now. For such a noteworthy year, it’s important that the children’s progress and growth is honored and celebrated with a vibrant graduation. Graduation Mall proudly offers kindergarten regalia in a stunning royal blue that will beautifully symbolize the bright futures ahead for your students. 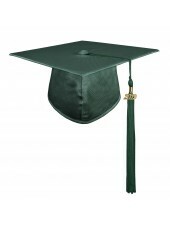 Graduation Mall is a proud supplier of all kinds of graduation regalia. 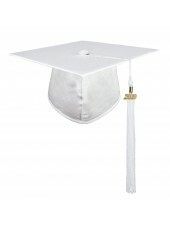 From our adorable preschool cap and gown sets to our distinguished deluxe custom doctoral gowns, we happily provide quality made products for all graduating classes. Each and every scholastic achievement, no matter how large or small, is of great importance in a student’s life. With their families proudly witnessing the celebration of their accomplishments, it’s important that all of the students are dressed respectably in a quality made gown and matching cap. A memorable and emotional occasion such as a graduation will be warmly cherished and heavily photographed. What better way to exemplify your school pride than by making sure each of your students look amazing as they stand before their family, friends, and faculty. For over a decade, Graduation Mall has been providing schools and students around the world with high quality garments and accessories. Our privately owned production facility allows us to offer you more choices at an affordable price. 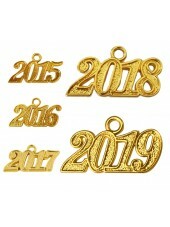 You can choose from our stock merchandise, that is ready to ship or customize our products to your own specifications. We’ll even send you a sample of our product so that you can feel our quality firsthand. At Graduation Mall, we do our best to make your students look their best. 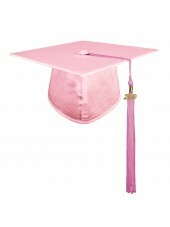 Capture the magic of this special day by adorning your students with Graduation Mall’s kindergarten cap with tasseland matching gown to create a special moment that their parents will cherish forever.